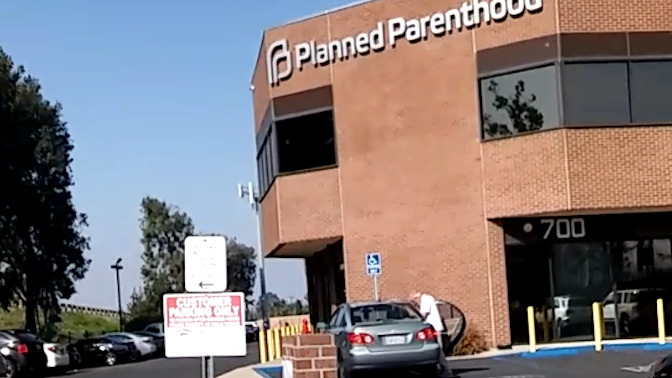 (Orange, CA) — A participant in the 40 Days for Life vigil outside the Planned Parenthood in Orange (700 S. Tustin Ave., Orange, CA) filed a report with police late last week over concerns about a suspected baby parts courier. According to an eyewitness, he has seen the same man and this vehicle here on many occasions. John H., says he was praying outside the clinic for over an hour on March 18, 2016, when he noticed the familiar vehicle. 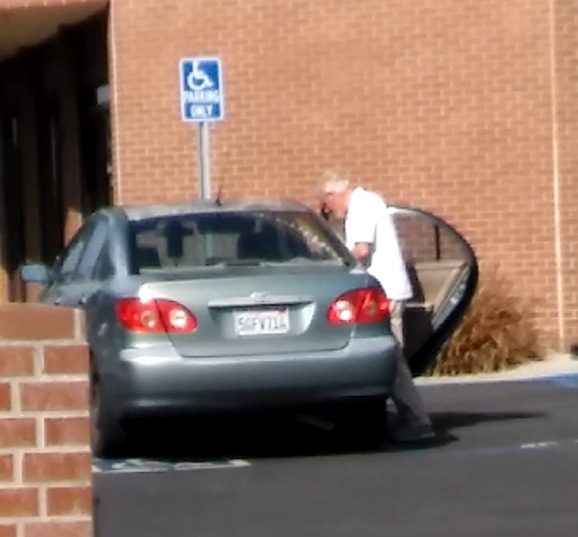 About 10:30 a.m., a white-bearded man pulled into a handicapped parking space at the front of the building. He had no visible passengers on the way in or leaving. The man slung a blue plastic 12-pack sized cooler over his shoulder and entered the clinic. John notes the man is elderly and has difficulty walking. He emerged with the cooler bag hanging from his shoulder, which he places on the front seat beside him before leaving. On previous occasions, he appeared to transfer items into his back seat before driving away. John H. and other prayer warriors have confirmed that there is always a large ice chest occupying the back bench seat of his Toyota Corolla. It was there again today. In an effort to speak to the driver, John motioned to the man to roll down his window. He waved off John, but reached to tap down on the top of the ice chest in the back seat as he approached the exit. John says he has seen the same driver and vehicle many times, and is concerned he is transporting fetal body parts from this clinic, which was recently identified in a Center for Medical Progress video, as a source for third-party seller, DaVinci Biologics of nearby Yorba Linda, Calif.
John filed a report with the Orange Police Department and included pictures and video evidence for police review.